Here at ATW, we’re passionate about helping people, whether that be people who come to see us regularly or just on a one off basis. We have had close links with an organisation called Something To Look Forward To for many years now, who are a charity who have been affected by cancer and so decided to try to help others. STLFT helps by providing gifts and experiences to to families and cancer patients which have been donated by gifts and businesses. They succeeded, and since 2015, Something to Look Forward To has been a registered charity which has helped to improve the lives of thousands of families of cancer patients across the UK. Something To Look Forward To has achieved massive success, and also massive recognition, as they were the winner of the Special Achievement Award at the 2018 National Lottery Winner Awards. The founder, Fiona, was diagnosed with breast cancer in 2007, just like the founder of ATW, Emma, which is why helping others is so important to Emma. This is why Emma and Acupuncture That Works have donated acupuncture sessions, in order to offer holistic therapies to cancer sufferers. 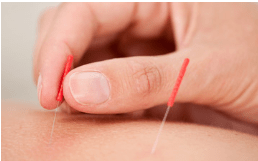 Under the Guy Protocol, details of which can be found here, it was found that regular acupuncture sessions have been found to be effective on patients using Tamoxifen in helping to reduce the side effects of hot flushes. Acupuncture That Works is proud to be linked with a charity such as Something To Look Forward To, and we hope to be able to support them for many years to come. ATW would like to welcome Nadine Tallis, our new Acupuncturist and Chinese Medicine Practioner, specialising in Traditional Chinese Medicine. Nadine has a 1st Class Honours BSc Degree in Acupuncture with over 400 hours in clinic. Nadine comes to us from The Cheshire Tao. 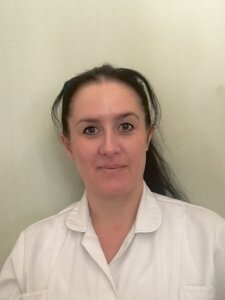 Additionally, Nadine has a Level 3 Diploma in Complementary Therapies, including Aromatherapy, Reflexology, and Massage & Facial Massage, as well as being a Reiki Practioner and also being an accredited member of the FHT. Nadine comes from a strong marketing and legal background, but she left her career in 2013 in order to care for her mother who had unfortunately just received a lung cancer diagnosis. Due to this, Nadine decided to retrain in Acupuncture so as to be able to help other people who are suffering with the symptoms of cancer. Nadine used a multi-therapeutic approach to help her clients. She combines the seven principles and the five elements, microsystems, Korean, electric acupuncture and moxibustion. Nadine specialises in chronic pain and illness management, depression, anxiety and mental wellbeing, stress management and issues with addiction. I developed hot flushes after receiving chemotherapy for breast cancer in 2016. They were occurring several times a day and were making me feel drained. I can’t remember who suggested I contact Emma for acupuncture but I booked myself in and was delighted to discover that she specialises in breast cancer patients and the effects of chemotherapy. I had about 6-8 sessions in total over several months. I initially had a block of sessions and flushes settled very well for a few weeks then came back, so I had another few sessions and that appeared to settle the flushes. They now occur rarely. Emma has a lovely gentle manner and the whole experience was very relaxing. I recommend Emma and acupuncture to all my friends now for these symptoms. Please note that all testimonials on this site have been written by the patients themselves. All views expressed within them are solely those of the individuals concerned. Any mention of success with their treatment applies only to their specific experience and is in no way a guarantee of efficacy in the treatment of other patients. Whilst we will attempt to help any and all patients who attend our clinic we cannot guarantee the same outcome as those reported here. Why do we need this disclaimer? – Read the answer here. Amanda discovered that having regular deep tissue massages was thoroughly benefical to her wellbeing, and that is helped her recover after she suffered a major burnout during her career as a senior buyer. After recovering, Amanda decided to focus on becoming a fully qualified Massage Therapist. Deep Tissue Massage, Chinese Cupping Therapy, Restorative foot and Hand Massage, Reflexology, Head Neck and Shoulder Massage, Sinus Drainage, Ear Candling, Lymphatic Drainage, Hot Stone Therapy. December 19, 2018 December 19, 2018 ATWAcupunctureLeave a Comment on Acupuncture That Works nominated for an award! Acupuncture That Works are delighted to reveal that we have been put forward for the Alternative Medicine & Holistic Health Awards 2019, hosted by GHP-Magazine! Through these annual awards, Global Health & Pharma Magazine aim to recognise those who go above and beyond for their clients with their ailments, offering alternative health care treatments. GHP Magazine are a merit led awarding body, who research and analyse everything about a nominee, ensuring that only the most deserving practices walk away with the prize each year. The whole team here at Acupuncture at Works are really pleased to have been recognised for all our hard work over the last year and are really looking forward to finding out who will be the winner. For more information about the awards, visit the GHP website. Here at Acupuncture That Works we are proud to welcome David Webb as a new member to our team. David is a clinical hypnotherapist after training at Innervisions school of clinical hypnosis. 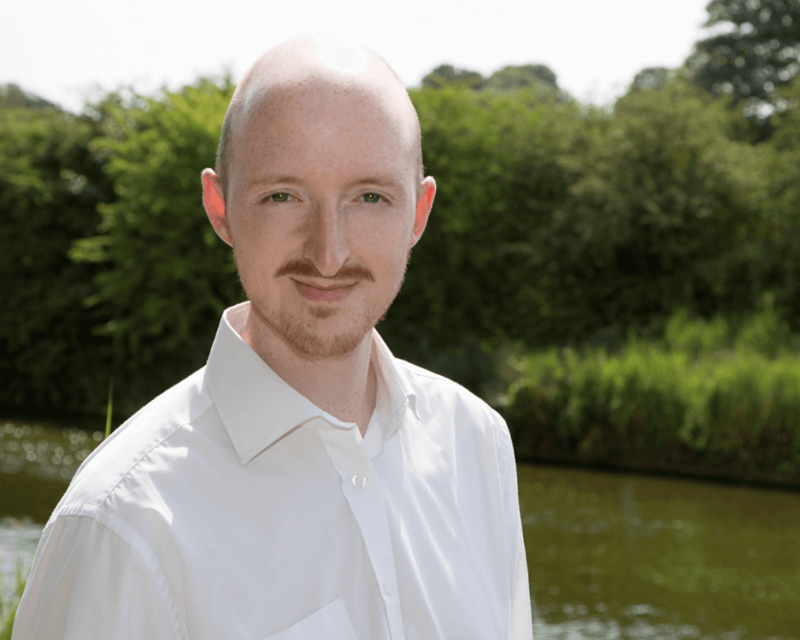 Using hypnotherapy, David offers support to cope with anxiety, stress, fears and phobias, depression, weight management, confidence, unwanted habits and behaviours. More commonly, David uses his hypnotherapy to support his clients with their anxiety as his past experiences with anxiety gives him a great understanding of how clients feel. “Thank you very much for the treatment, I found your voice very relaxing and felt really at ease the whole way through. Afterwards I had more energy and less feelings of anxiety which was a real help. Would highly recommend.” – E.B. To book an appointment with David, ring in on 0800 051 7688. If you want to find out more about the rest of the team, come and see them here. November 2, 2018 November 2, 2018 ATWAcupunctureTagged Acupuncture, chiLeave a Comment on What is Chi? You have probably heard the word Chi before—the word is firmly, albeit vaguely embedded in popular culture, but what does it actually mean? With its roots in traditional Chinese culture, Chi (also spelled qi) refers to the vital life force or energy that runs through all living beings. It is the essence of existence that flows through each of us, uniting the body, mind and spirit. It is what makes us alive. This concept of an essential life force is not unique to Chinese culture. In fact, most of the world’s ancient cultures have an equivalent word to describe the intangible vital energy. In India, it’s referred to as Prana, in Japan as Ki. Native Americans refer to the life force as the Great Spirit. In each of these cultures as in Chinese culture, healing and traditional medicine is firmly rooted in bringing the balance and flow of this energy into alignment. Naturally, the presence or absence of this essential life force can have profound impacts on both physical and emotional well-being. 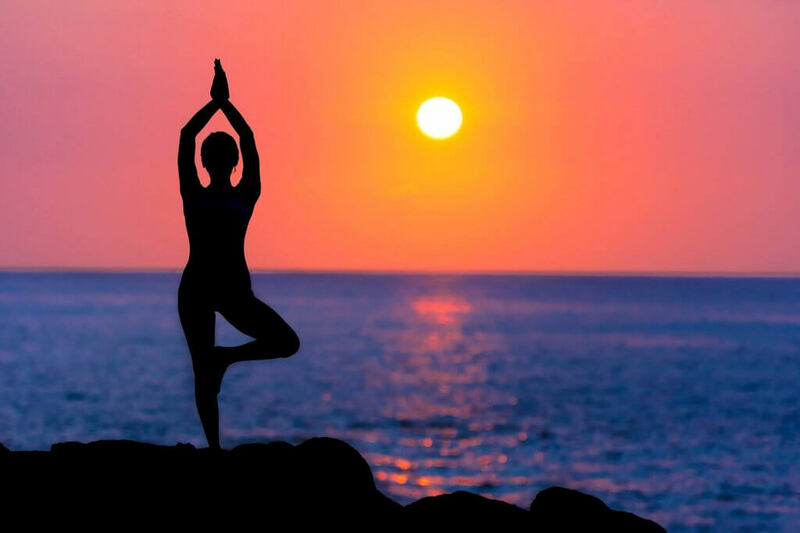 A strong and balanced life force culminates in vitality, increased productivity and creativity. Conversely, blocked, unbalanced or weakened Chi can lead to sluggishness, pain and emotional distress. The primary goal of traditional Chinese medicine is to optimise health and well-being by cultivating a smooth, powerful and balanced flow of chi throughout the entire body. Suffering (teng) caused by a blockage in Chi (bu tong), can be alleviated through acupuncture, tai chi, or qigong to facilitate proper circulation of Chi (tong) thus achieving teng jr bu tong, which means, a state of freedom from pain and disease. If you want to know more about Chi, then we have an entire page dedicated to it! Take a look. Are you interested in how improving the flow of Chi in your body might benefit your overall health and well-being? You can get in touch today by completing our contact form or by giving us a call on 0800 051 76 88. Could paediatric Acupuncture help your child? September 4, 2018 September 4, 2018 ATWFeatured posts on main pageTagged Acupuncture, benefit, children, health, latest, paediatricLeave a Comment on Could paediatric Acupuncture help your child? The term ‘Acupuncture for children’ may raise eyebrows, but it is much safer than you might expect and can help your child overcome a wide range of undesirable conditions. In the clear majority of cases, your child will only need a couple of needles and may require no skin penetration at all. Many treatments are applied with the fingers rather than needles, which is where the term ‘acupressure’ comes from. What happens during paediatric Acupuncture? no longer than five to ten minutes and we can apply the points several times a week until the child is healthy, happy and has overcome the illness. Prior to the treatment beginning, the practitioner will normally spend time talking to the parent about the condition and how things are progressing, which is why parents are recommended to bring toys or blankets with them to keep their children occupied. What can paediatric Acupuncture treat? Paediatric Acupuncture is used to treat a wide range of illnesses and problems. It has been used for more than 2000 years to speed up the body’s natural healing process, has zero side effects and won’t deplete your child’s chi energy. 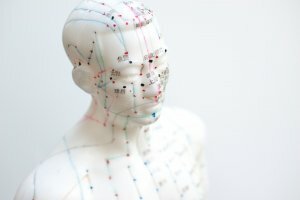 The chi or energy levels of children are constantly in flux as they develop, but acupuncture techniques can boost chi circulation, help them relax and overcome illnesses and other conditions. Conditions paediatric Acupuncture is used for can include behavioural problems, asthma and allergies, coughs and colds, colic, bed wetting, ADHD, infections, stomach pains, fevers and eczema. Acupuncture is rooted in ancient Chinese medicine and is used by the NHS as well as in private clinics. During Acupuncture treatments, sensory nerves under the skin and inside the muscles are stimulated so the body can produce natural substances, including endorphins for the relief of pain. If you think Acupuncture could benefit you or if you have an inquiry about Acupuncture That Works then call us on 0800 051 76 88 or fill in our contact form. 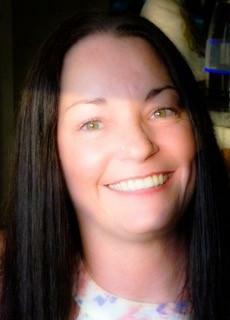 Here at Acupuncture That Works we are proud to welcome Rosemary Heaton as a brand new member of our clinic team. Coming from a family with deaf parents and a deaf sister, Rosemary has long understood the need to overcome any and all disabilities or problems, and it has given her a strong intuition into the root of problems she helps her clients to face. Rosemary has many qualifications including Master Practitioner Diploma in Clinical Hypnotherapy, Practical NLP Diploma, Life Coaching Certificate, Gastric Band Hypnotherapy Certificate, Stress Management & Hypnotherapy, Advanced Hypnotherapy Diploma, so you know you’re in great hands. 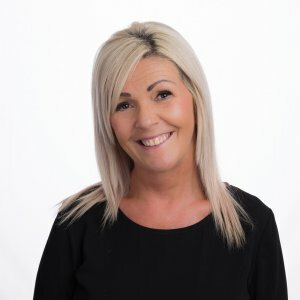 Using hypnotherapy, Rosemary offers to help you with issues surrounding an amazing technique called the Hypno-Gastric Band, weight loss, stopping smoking, confidence and self-esteem, stress and anxiety, and freedom from fears and phobias. To book an appointment with Rosemary, ring in on 0800 051 76 88. Can Acupuncture help migraine sufferers? April 13, 2018 September 4, 2018 ATWAcupuncture, Featured posts on main page, Latest NewsTagged Acupuncture, head pain, headaches, migraineLeave a Comment on Can Acupuncture help migraine sufferers? 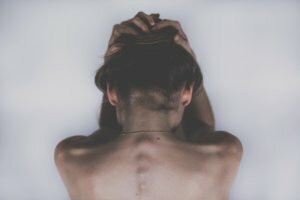 Anyone that regularly suffers from migraines knows how debilitating it is and more importantly how you would do anything to subside the pain. Therefore, as a result of typical Western pain medication such as paracetamol and ibuprofen having little to no effect on severe migraines, many people have turned to Acupuncture. As with any medical treatment, there are studies that oppose and support the effect of Acupuncture but over the past decade, there has been an increase in research evidencing the relief it has provided sufferers of chronic migraines. This is also further substantiated by The World Health Organisation who have in fact endorsed acupuncture as a viable and promising treatment for pain relief since the late 1970’s. So, how exactly does Acupuncture subside migraine pain? Acupuncture theory is based on the idea that the body is comprised of energy or ‘Qi’ (pronounced ‘chi’) that is in a continuous flow. If there is a blockage in your body this flow of Qi is stopped causing pain or illness to the correspondent area of the body. Acupuncture seeks to help restore this flow of energy by targeting and stimulating specific points on the body with hair-thin needles. In terms of the pain relief aspect, because the Acu-points are usually located close to nerves, when stimulated they will release hormones such as endorphins into the body. In turn, this is what will help relieve any chronic migraine pain and promote relief and relaxation in the brain. Acupuncture comes with very little side effects when carried out by a licensed and trained practitioner. With that in mind, it is extremely important to research your acupuncturist before booking your first appointment. One of the best ways to do this is to visit their website and look for customer testimonials, particularly for the reason you are seeking out the treatment. This should give you a clear and honest idea of how the acupuncturist works and how effective the treatment is. When you do arrive at your appointment don’t be afraid to ask questions and watch to see the way in which the practitioner stores and uses the needles. One of the biggest health risks in any medical field is the use of equipment that is not sterile as it poses a serious health risk. At Acupuncture That Works all our needles are single use and are safely disposed of by a licensed Waste Contractor. Whilst acupuncture is a safer alternative to traditional medication with little to no side effects, it ultimately cannot wholly take the place of being treated with medication. Often Acupuncture works best when coupled with medication as it can help subdue any unpleasant side effects of the treatment. Some headaches and migraines will require more immediate medical attention and it is important that you seek out this help instead of waiting to receive acupuncture. If you are experiencing symptoms such as being light-headed, dizziness or nausea, it is important that you see a doctor as soon as possible as sometimes there can be more severe underlying issues such as allergic reactions, blood clots or blood pressure spikes. If you would like to find out more about how acupuncture could help with your migraines please call us on 0800 051 76 88 or fill in our contact form.